I fly about 140,000 miles per year. On average that is about 70 flights. That means I am spending about a week each year in airports waiting for flights. Fortunately, I have lounge access at most airports through Priority Pass provided by various credit cards I hold. 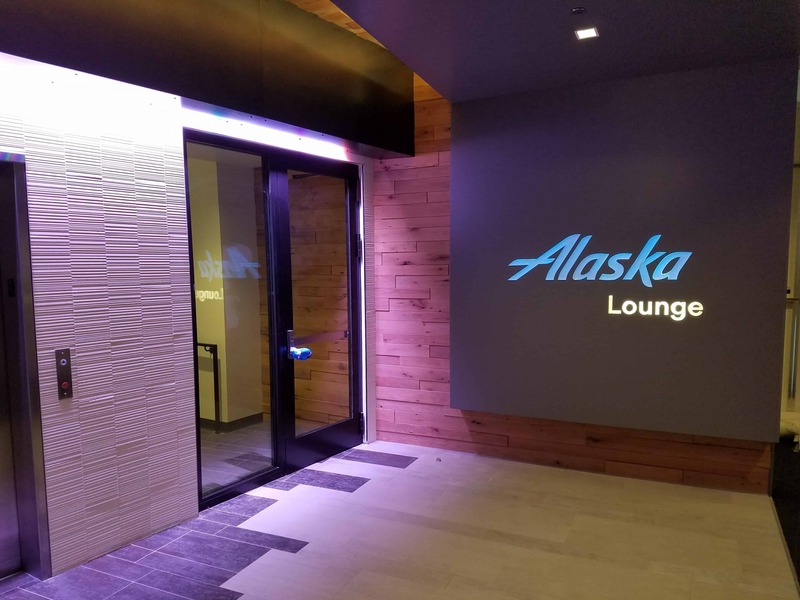 UPDATE: Read my plan on purchasing an Alaska Lounge Membership for 2019. While a good percent of those flights are on Alaska Airlines, I have never felt the need to purchase an Alaska Lounge Membership. For the last few years, I have had no problem accessing a quality lounge in the majority of airports I visit. But recently the landscape of lounge access has changed for me. The past two years I have held an American Express Platinum card. 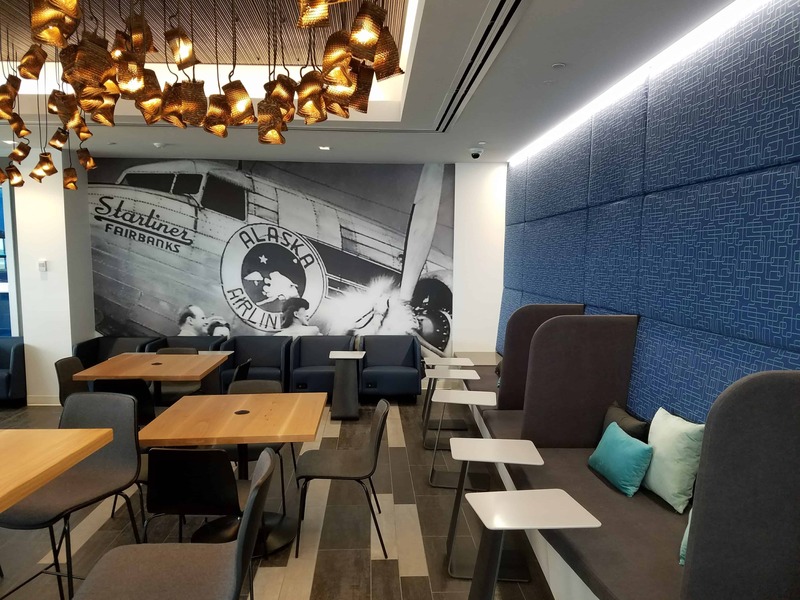 The Platinum card comes with lounge access through Priority Pass membership (which I have with other credit cards as well) and more importantly, Centurion Lounge access. 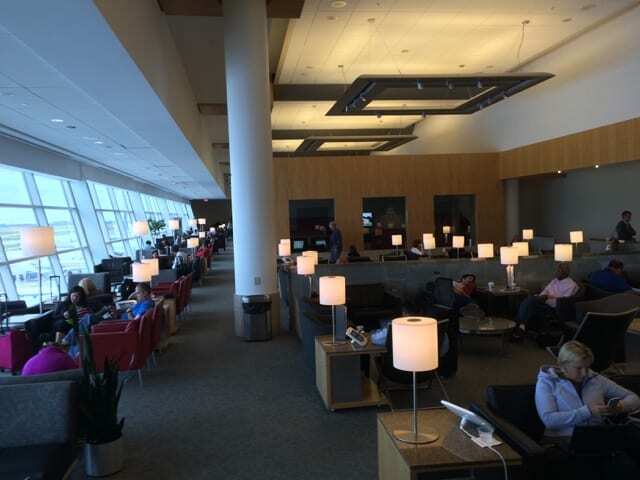 With a lounge at my home airport (Seattle) as well as various other airports including Las Vegas, Dallas, Miami and San Francisco, Centurion Lounges are my favorite domestic airport lounges. 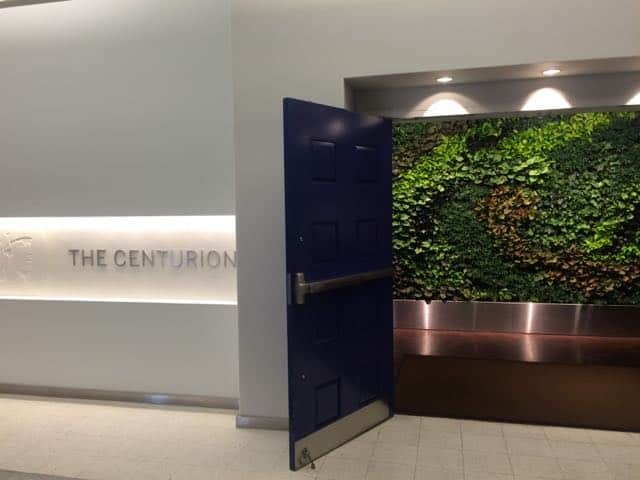 Unlike many other lounge benefits, access to the Centurion Lounge is not dependent on the airline you are flying. They offer real food and full bar service in a mid-century modern decor. In fact, they have suffered from their own success with many being challenged by overcrowding. The first year I had the personal version of the Platinum card with a 100,000 point sign up bonus and $450 annual fee. I canceled that card before the second annual fee hit and signed up for the Ameriprise version that comes with no sign up bonus but waives the annual fee for the first year. This past year the annual fee of the Platinum card went up to $550. I find both their $200 in-flight travel credit and $200 Uber credit difficult to use. Even if I value those credits on the higher side (lets say $300), that means I am still paying $250 for Centurion Lounge access (I don’t find value in the rest of the benefits of the card). I have ditched the Amex Platinum card for this year. I have also held the Citi Prestige card for the past two years. The Prestige annual fee remains at $450 — $100 less than Amex Platinum. The card also comes with Priority Pass membership and, until recently, Admirals Club access when flying on American Airlines. On average I fly 35,000 miles a year on American so Admirals Club access has been a nice benefit. However, this summer Citi cut this benefit. Despite this big cut, I have decided to keep the Citi Prestige card for another year. Their $250 travel credit is much easier to use than Amex. In addition, I have been able save some money through their 4th Night Free program and Price Rewind. Of all the “premium” credit cards, it is the one I feel is worth keeping past the first year. Still, the loss of Admirals Club access hurts. After canceling my Amex Platinum and Prestige removing their Admirals Club access, that leaves me with my Priority Pass membership through Citi Prestige (and Chase Sapphire Reserve currently, but I will be canceling that card before the annual fee hits). Priority Pass does not manage their own lounges. Instead, it allows you access to various lounges world wide. Priority Pass pays the lounge for each member visit. Fortunately their network is quite big and includes Alaska Lounges. Unfortunately, recently they too have been hurt by their own success. The past few months, I have been denied entry to lounges due to capacity control. Alaska Lounges are notorious for turning away guests. I was also recently turned away The Club at DFW. A year ago I had never been turned away. When I was traveling last month, I was turned away from the new Alaska Lounge in Seattle due to overcrowding. My flight was delayed and I had a good chunk of time to kill. Fortunately, one of the benefits of being an MVP Gold 75K is four Alaska Lounge day passes. You don’t even have to be flying Alaska to use the passes. I am able to access Alaska Lounges with Priority Pass membership included with Citi Prestige. When Alaska Lounges restrict Priority Pass entry, then I can use one of my four day passes. So why would I think about paying for an Alaska Lounge membership? It guarantees me and two guests entry into any Alaska Lounge. You don’t have to even be flying Alaska Airlines. Since almost half of the flights I take in any given year depart from Seattle, that is a big deal. They are far from being top tier lounges, but in Seattle they have three locations so there is always one close to your gate. It’s fine for killing some time with comfortable seats, a few snacks, and complimentary alcohol. Alaska Lounge membership gives you access to partner lounges. When flying on Alaska, you get access to non-Alaska lounges in various cities. For example, Alaska has a big presence at SFO but no lounge. Instead you can use the Cathay Pacific lounge. You even get access to United Clubs in four airports. United and Alaska have no other partnership outside of the lounges. Alaska Lounge membership gives you access to Admirals Clubs. When flying Alaska Airlines and/or American Airlines, you plus 2 guests get access to Admirals Clubs in a large number of cities. 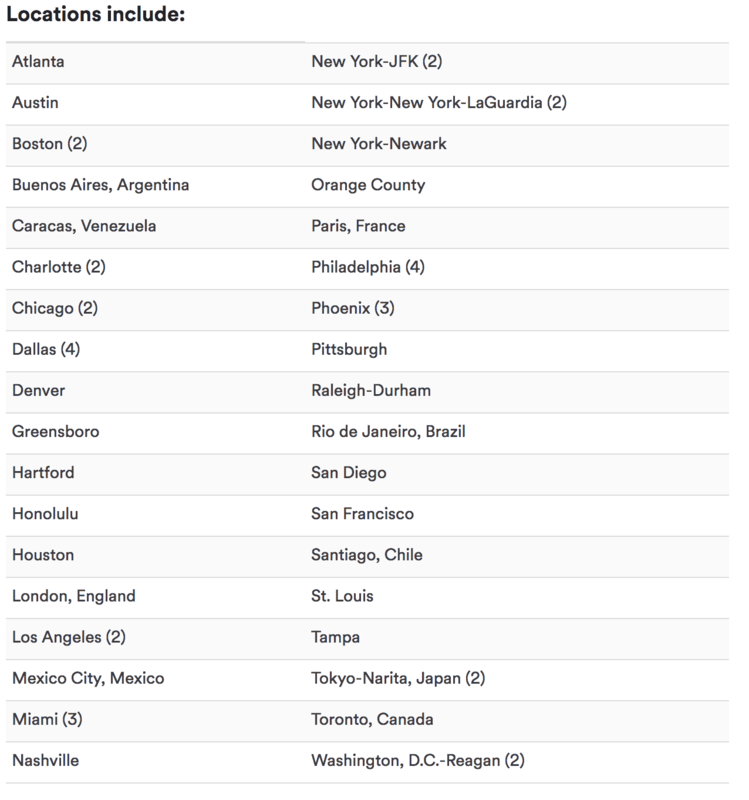 (UPDATE: San Francisco Admirals Club is no longer included). Note you must arrive or depart on Alaska or American to get access. That means you could fly Seattle to JFK on Alaska, visit the Admirals Club at JFK, then fly JFK to Dubai on Emirates, for example. Membership is $295 a year. As an Alaska Airlines MVP Gold or Gold 75K, the cost of Alaska Lounge membership is $295 (down from $450 for the general public for their first year, $350 each additional year). Compare that to $450-$550 (depending on status level) for Admirals Club membership that has similar rules (you can access Admirals Clubs any time but Alaska Lounge when only flying AA or Alaska). There is one policy that is holding me back from purchasing the membership this year. You do NOT gain access to partner lounges (including Admirals Clubs) when flying Virgin America. UPDATE: Now that Virgin America no longer exists, this isn’t a problem. 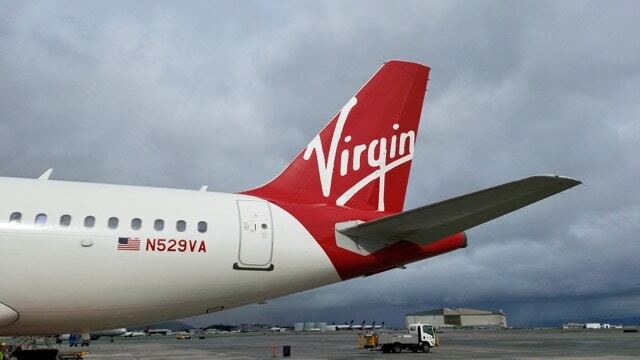 My guess is that adding Virgin America flights would take renegotiating the terms of the partnerships. Instead of doing that, Alaska is waiting out the retirement of the Virgin America brand. In the mean time, I have a number of flights booked on Virgin America and I would like to have lounge access. Since those times I am flying Virgin America are not included with my Alaska Lounge membership, I will pass for the time being on paying for membership. Have you considered purchasing a membership to Alaska Lounges? What has been your reason for either joining or not joining? I wonder if you’d be let in if you booked using an AS codeshare, though? I’m guessing yes..and perhaps there are data points on this at FT or elsewhere? Well good news. You can now access Admiral’s Clubs (except SFO) with an Alaska Lounge membership while flying Virgin. I purchased an Alaska lounge pass because with Alaska MVP status the lounge membership is cheaper than Admirals Club. Plus you get access to more lounges than if you just purchased the Admirls Club membeship via the Citi Exec Credit Card.I travel on American Airlines every week and Alaska every other month. I spend about 4 hours in the airport every week and can now access Admirals Club and Alaska Lounges every time I fly. Best of all I don’t have another credit card in my wallet just for benefits. The Citi card from American really only added lounge access to my benefits because I have status with Alaska and American. So I get free checked bags priority seating etc…I also like the fact that on vacation flights my family and two guests can join me in the Admirals Club or Alaska lounges.